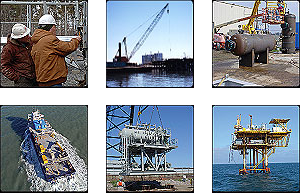 Complementing its fabrication and repair services, Premier provides a variety of contracting services for the oil and gas industry. One call places a seasoned team at your disposal. From specialty welders and pipefitters, to onshore and offshore staffing, supervision and crew coordination, Premier represents cost-effective labor solutions.